At the core of your being are characteristics and values entirely unique to you. Connect to your deepest self, and find your purpose in life through the Unique Ability® Discovery Process. This journey will inspire you to trust your intuition and encourage you to build a bespoke life around doing what you love to do and do best. 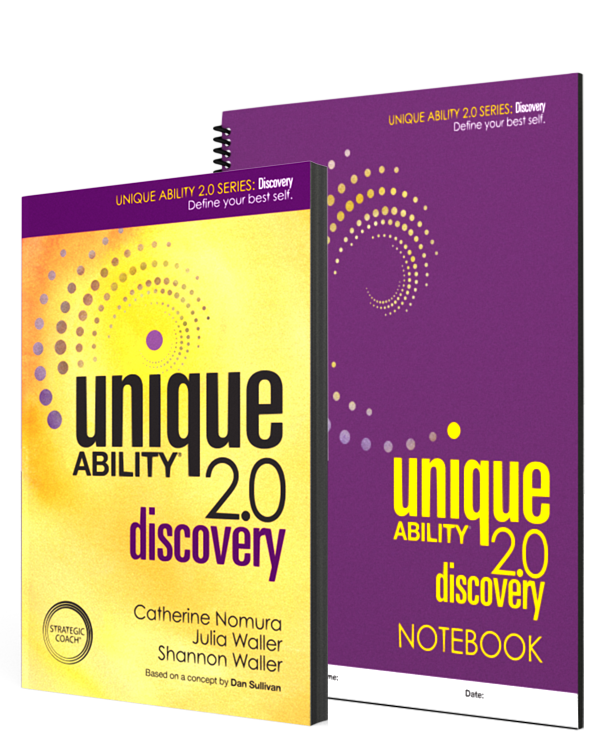 Start your journey to uncovering the deeper you with the Unique Ability® 2.0: Discovery book and notebook—a step-by-step path to major growth. Delve into the world of Unique Ability® in even greater detail, and experience the exhilaration of finding your purpose in life. Give yourself the gift of self-knowledge.